I-5 is in the background of this shot of the proposed Love’s truck stop location. State highway officials want a new analysis of how the planned Love’s truck stop would affect the south Jefferson interchange on I-5. Either that, or they want Love’s to construct road improvements now or agree to share in the costs of future signals at the I-5 ramps. 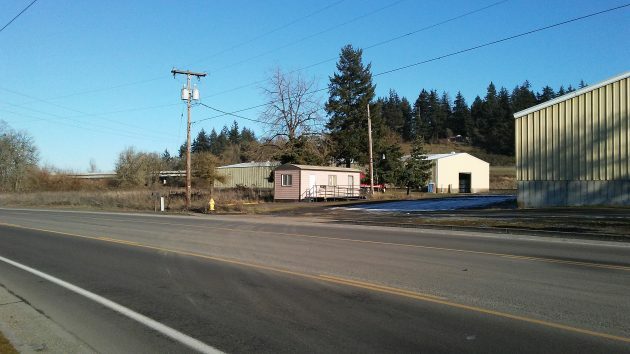 The Oregon Department of Transportation last week appealed the Millersburg Planning Commission’s approval of a site plan for Love’s Travel Stop and Country Store on Old Salem Road just south of the interchange. ODOT found fault with a traffic impact study conducted for the applicants, saying it was insufficient to determine whether the truck stop would have a significant impact on Interstate 5 and the Linn County road system. I support the addition of the Love’s truck stop. However, I think this is a valid concern. The Jefferson exit is not really designed for high truck volumes. When taking the northbound exit, and turning left to Jefferson at the stop sign, there is already quite a wait at times to get a clear crossing to go towards Jefferson. As one looks right, the overpass blocks some of the view, and there is heavy traffic from the left from folks going onto I-5 or into Albany. The slow moving trucks going northbound would be making that left turn, across traffic, further delaying left turning vehicles. Not sure of the solution, but I do see the potential for further backed up traffic at that T crossing. I drive a gas-powered RV, so there’s a lot of experience with the gasoline island.There is more traffic related to cars, pickups, and RVs than there is traffic related to trucks, etc.